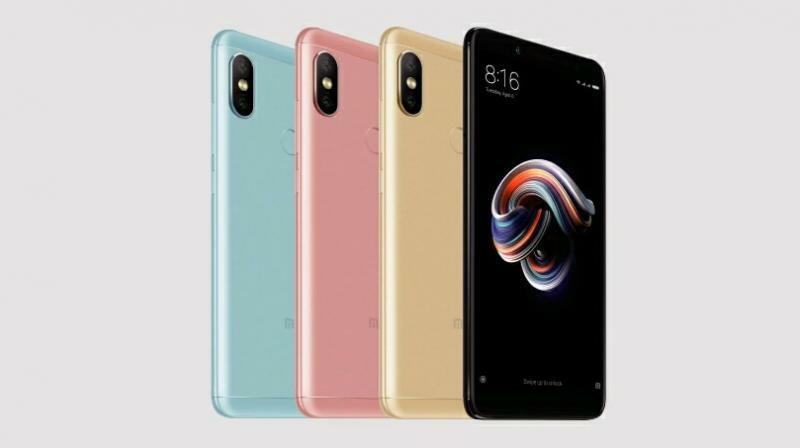 Xiaomi Redmi Note 5 Pro vs Xiaomi Mi A1: Which Is Xiaomi’s Best Mid-Range Smartphone? Xiaomi Redmi Note 5 Pro vs Xiaomi Mi A1: Which is Xiaomi's Best Mid-Range smartphone? Xiaomi Redmi Note 5 Pro vs Mi A1; which one do you consider to be the best budget smartphone from Xiaomi? Priced at same category and delivering out similar features, both Note 5 Pro and Mi A1 have a lot of similarities. But which one should you go for? With this detailed comparison review, you'll definitely get your answer. 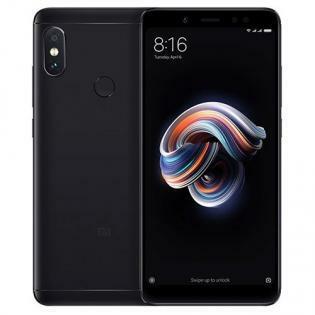 It hasn't been very long since the latest Note series flagship, the Redmi Note 5 and Note 5 Pro from Xiaomi have launched, and keeping aside the regular Note 5, Redmi Note 5 Pro has a lot of specs and features that make it eligible to compete against high-smartphones out there. However, the fans, as well as the internet, are currently looking forward to the comparison of Mi A1 to see how well it can stand against this latest release while being the best mid-range smartphone from the company. To add up the spice in comparison, both these devices are nearly similar on paper in terms of hardware and the camera. Apart from delivering dual camera setup on the rear, both of these devices also come packed with many breath-taking features and performances in other sections without compensating over the quality in any field. Redmi Note 5 Pro will definitely grab your attention with its fabulous design. Although the rear side of the device looks like a daylight copy of iPhone X, front part spreads out a beautiful 5.99-inch display that looks modern with current trend 18:9 aspect ratio. The device had got minimalistic bezels on either side with slightly more thicker top and bottom chins. The rounder corners alongside the curved back add more grip to the device for anyone irrespective of their huge or small hands. Compared to its predecessors, the Note 5 Pro has got an advantage with its new 2018-ish look and feel. However, unlike the smartphones that come in the same budget range, the Note 5 Pro doesn't come with a metal unibody, rather comes with a plastic finished caps at both top and bottom. Camera bump is something you have to be careful with while using Note 5 Pro, this also makes it quite uncomfortable while using the device on a flat surface. With an older operating system, Android 7.1.2 Nougat, the Redmi Note 5 Pro had also dissatisfied many of their fans in this field too. However, the device does deliver many other tremendous features to enjoy as a relief to this huge pain. The very first thing on the list is the MIUI 9 on top of the operating system which allows the users to enjoy tons of features like dual-apps, second space etc. With a Snapdragon 636 chipset powering up the device, it is the Redmi Note 5 Pro which is bringing this brand new chipset to the Indian market for the first time. By pairing this powerful chipset with a GPU of Adreno 509, Xiaomi had turned this device into a beast of performance. Also with the 6 GB memory of RAM, there's no doubt Xiaomi is an unbeatable champion in the market under budget section. In terms of battery, as Xiaomi is known for keeping their customers entertained with a huge and never-ending juice provider, the Note 5 Pro comes with a 4000 mAh battery. With this capacity, there's no doubt the device can provide unlimited fun for up to 2 days without even having to see a power brick. In the field of the camera, the Redmi Note 5 Pro easily beats all the competitors with the dual-camera setup and dual-tune LED flash. With 12 MP + 5 MP primary camera offering sensor size of 1.25 microns and an aperture of f/2.2 on the first sensor and 1.2 microns f/2.0 on the secondary sensor, this camera is far better than any other dual camera smartphones at this price range. However, the absence of USB type C port on the bottom is yet another minute drawback that many of the fans have pointed out. Mi A1 is also a mid-range smartphone delivering all the beautiful features for the price. Although it has been launched a couple of months back in September 2017, it has got the right specs to compete against the Redmi Flagship that we reviewed earlier. Talking about the design of Mi A1, it has also got an iPhone inspired design, but unlike the Note 5 Pro, this device takes the design of iPhone 7 Plus or the OnePlus 5 device. Although it might seem like an iPhone clone at the first look, the design of Mi A1 has kept its uniqueness at many places so as to get away from getting trouble with some legal issues with Apple. The build quality of Mi A1 is comparatively better than Note 5 Pro, as this device follows a metallic unibody design without any plastic caps like that in Note 5 Pro. On the front, there's this beautiful LCD display which is slightly less in size when compared to the Note 5 Pro. The 5.5-inch display is also packed with a Corning Gorilla Glass 3 protection. Unlike the above-mentioned Redmi device there's no 18:9 trending aspect ratio which will bring down the bezel-size, instead Mi A1 still follows the old 16:9 aspect ratio with slightly more thicker bezels on each end of the device. Under the hood, Mi A1 is powered by the Snapdragon 625 chipset with a 2.0 GHz octa-core processor. In terms of delivering internal storage, just like the Note device, Mi A1 also comes packed with a 64 GB inbuilt storage paired up with 4 GB of RAM. With the latest version of Android running on the device and as the product itself is a collaborative with Android one, the software updates will be fast. Also being a stock Android, the navigation is simple and overall it delivers a great UI without any bloatware. When dual-camera of the Mi A1 is compared against that of Note 5 Pro, it is slightly less powerful in terms of capturing depth as the secondary sensor comes with an aspect ratio of f/2.6 and 1 microns. Whereas the primary sensor is same with f/2.2 and 1.25 microns. Also, the selfie camera at the front is a 5-megapixel shooter. However, for some reasons, Xiaomi had degraded the battery capacity on Mi A1 when compared with Note 5 Pro with 3080 mAh. Another advantage of Mi A1 over Note 5 Pro is that it holds a USB type C port down at the bottom which a lot of Xiaomi fans would definitely appreciate. Xiaomi Mi A1 vs Redmi Note 5 Pro: Which One Should You Buy? As you have already read the specifications and features of the device, it is now time to decide which one should you go for. Starting with the design, both designs are great and adds a premium feel. When Mi A1 provides all-metal unibody, Note 5 Pro delivers some plastic end caps that's a negative in the field of build quality. However, Note 5 Pro is better looking on the design aspects with a close resemblance to that of iPhone X. When the displays are compared each other, the Note 5 Pro has a better display with 5.99 inches 18:9 aspect ratio with minimalistic bezels. In the field of camera and dual-camera performance, both these devices are in a tie as many features are nearly the same for them. However, with a lower sensor size in Mi A1 the photo quality is poor in low light. Whereas in the battery section, with no doubt, Redmi Note 5 Pro rocks with 4000 mAh battery which is nearly a 1000 mAh more compared to the Mi A1. Overall both these devices are great and deliver everything that a user is expecting for the price he/she paid. 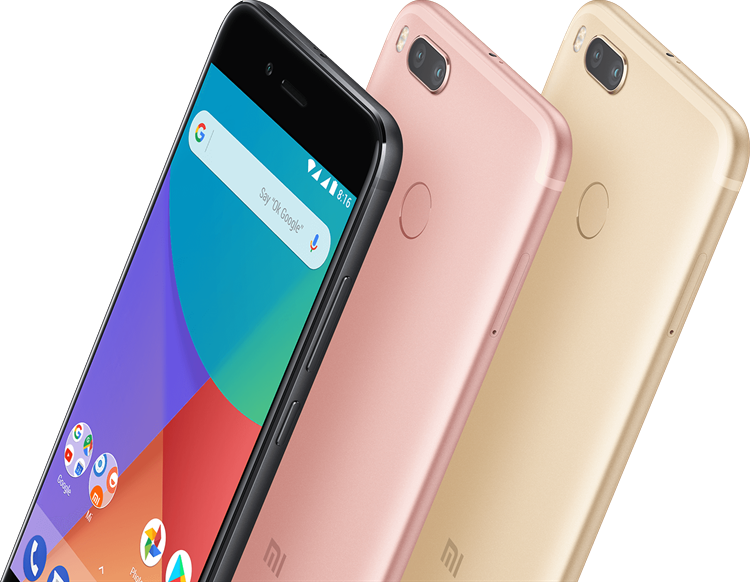 However, as both Xiaomi Mi A1 and Redmi Note 5 Pro fall under the same price category, it will be a tough decision to choose a perfect device from both. However, comparing them head-to-toe and evaluating each section as we have done above had cleared many of our confusion. 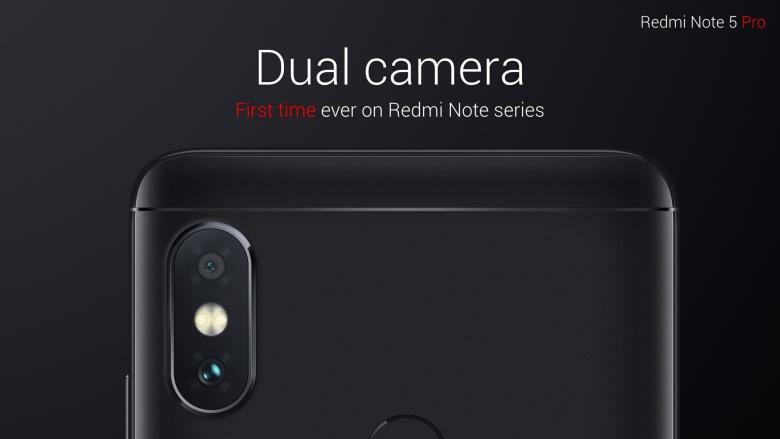 According to the above results, Redmi Note 5 Pro wins the battle by narrowly beating Xiaomi's Mi A1. However, if you already own a Mi A1 and looking to upgrade yourself with Redmi Note 5 Pro, then I would say that to be a bad idea. But for those who are struggling to choose between the two, then I would happily recommend them the latest Note 5 Pro from Redmi. Amidst millions of Android smartphones flooding the highly competitive Indian market, it becomes tough for one to choose the best device from a specific brand. To relieve you from this ambiguity, we are here with an analysis of the handpicked number of Android smartphones under the most reputed brand 'Sony' for shortlisting the winner out of these smartphones. Take a quick look to figure out the smartphone that has proudly bagged the winning title. Are you stuck making a choice between LG Optimus G & Samsung GalaxyS3? Read this article to find out the features of LG Optimus G & Samsung Galaxy S3 and how they differ from each other. This article will help you decide which smartphone is better of two. Difference between Samsung Galaxy S III mini and Samsung Galaxy S III. Do you want to buy Samsung Android phone and looking for major differences between Samsung Galaxy S III mini and Samsung Galaxy S III? Read the experts views on Samsung Galaxy S III mini vs Samsung Galaxy S III to know the differences between Samsung Galaxy S III mini and Samsung Galaxy S III in detailed comparison between the two latest Samsung Android smartphones.